Private landlords will no longer be able to evict tenants at short notice and without good reason under new government plans, effectively creating "open-ended tenancies". Prime Minister Theresa May said the changes would abolish so-called no-fault evictions in England.Section 21 notices allow landlords to evict renters without a reason once their contract comes to an end.The National Landlords Association criticised the government's proposals.Housing, Communities and Local Government Secretary James Brokenshire called the proposals "the biggest change to the private rental sector in a generation". He said the government was taking action because evidence showed that so-called Section 21 evictions were one of the biggest causes of family homelessness. "By abolishing these kinds of evictions, every single person living in the private rented sector will be empowered to make the right housing choice for themselves - not have it made for them," he said. At the moment, landlords can give tenants as little as eight weeks' notice after a fixed-term contract ends.Under the government's new plans, landlords would have to provide a "concrete, evidenced reason already specified in law" in order to bring tenancies to an end.Mrs May said the major shake-up will protect responsible tenants from "unethical behaviour" and give them the "long-term certainty and the peace of mind they deserve".The prime minister also said the government was acting to prevent "unfair evictions". Alicia Powell, 24, and her boyfriend believe they were evicted for complaining about a roof leak in their north London flat.They complained to their property manager but nothing was done so they said they were going to report it to their local council.Shortly afterwards they were served with a section 21 notice. But the National Landlords Association (NLA) is dissatisfied with the government's plans.Its chief executive Richard Lambert said landlords have little choice but to use Section 21 as they have "no confidence" in the courts to deal with possession claims "quickly and surely".Mr Lambert said the proposed changes make fixed-term contracts "meaningless" and create a new system of indefinite tenancies by the "back door". "The onus is on the government to get this right. It's entirely dependent on the government's ability to re-balance the system through Section 8 and court process so that it works for landlords and tenants alike," he said. A Section 8 possession notice means the renter has broken the terms of their tenancy - for example by not paying rent - and sometimes involves landlords spending money taking action in court if the tenants refuse to leave. "If the government introduces yet another piece of badly thought-out legislation, we guarantee there will be chaos," Mr Lambert added.Mr Brokenshire said the government will ensure "responsible landlords can get their property back where they have proper reason to do so". 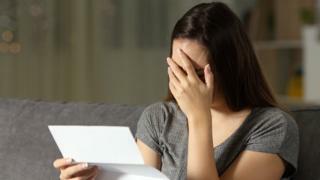 A Ministry of Housing spokesman said: "Court processes will also be expedited so landlords are able to swiftly and smoothly regain their property in the rare event of tenants falling into rent arrears or damaging the property - meaning landlords have the security of knowing disputes will be resolved quickly. "Shelter, a charity which helps people struggling with bad housing or homelessness, welcomed the proposals.Its chief executive Polly Neate said: "Government plans to abolish no-fault evictions represent an outstanding victory for England's 11 million private renters." She said the plans will "transform lives".Labour's shadow housing secretary John Healey said that any promise of help for renters is "good news" but added that "this latest pledge won't work if landlords can still force tenants out by hiking the rent".The Labour party previously said it would scrap so-called Section 21 evictions, among a host of other reforms to the rental sector. "Tenants need new rights and protections across the board to end costly rent increases and sub-standard homes as well as to stop unfair evictions," Mr Healy added.